A thousand years before Constantine built his city, before Nero’s fiddle and Rome’s fire, and centuries before Brutus betrayed Julius, a farmer named Cincinnatus did something remarkable – he kept his promise. The promise? To give up the absolute power of a dictator once he had successfully led the army of Rome against an alliance of invading enemies. Quite the promise, and yet that is exactly what Cincinnatus did. Soon after he defended the republic and ensured its survival, he gave up his title and returned to his farm where he lived out the rest of his life. Anyone can promise to safeguard and protect something valuable and desired for another, but it takes a particular kind of person to keep that promise. It takes a particular kind of person to justify the trust placed in them by the promised. Essentially, a trust takes the idea of a promise to protect and formalizes it by installing rules of do’s and do not’s as well as creating consequences for breaking the rules. Why create a trust? Why not just hold on to your assets yourself? The reason is that life is unpredictable. Just like Rome was blindsided by the invading Aequians, Sabines, and Volscians, you might not see up ahead the various worst-case scenarios such as death, disease, or some other misfortune. The associated protections, duties, and rules make it so that a trust is more than a simple promise. 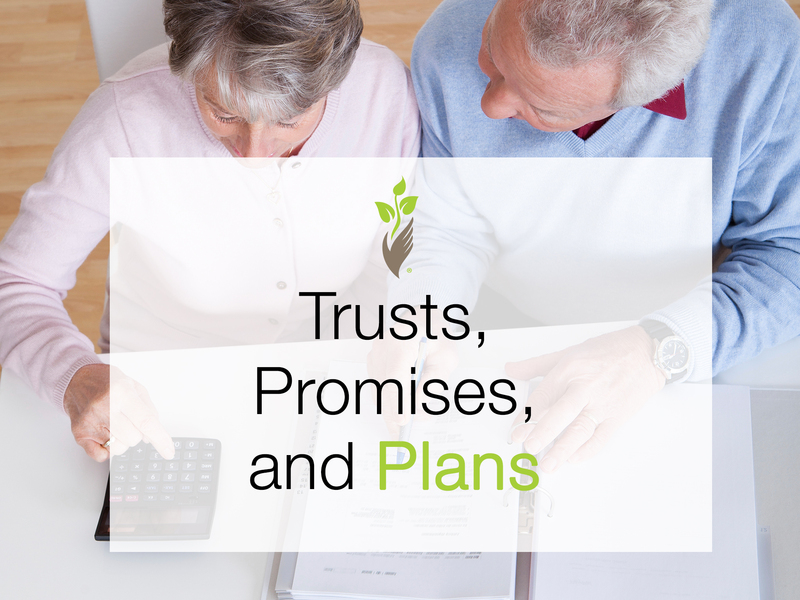 Creating a trust is to create a plan, one that ensures you and your loved ones are taken care of. And the trust can be designed for your specific needs or concerns. There are all kinds of trusts. Trusts can be living (inter-vivos) or posthumous (testamentary). A living trust is one that a grantor (creator or settlor) sets up while still alive and a posthumous trust is typically created by a will after one’s death. Living trusts can be modifiable (revocable) or un-modifiable (irrevocable). This revocable/irrevocable distinction matters for tax and liability purposes. An estate attorney can help you narrow down the type of trust relevant to your needs. As I’ve mentioned in earlier blog posts concerning estate planning, trusts are an important tool that can be used together with or separate from wills. Two notable advantages of using trusts over wills are that (1) unlike the terms of a will, which are public, the terms of a trusts are private. And (2) trusts bypass probate, a process by which a deceased person’s assets are distributed. Probate can be an expensive and litigious affair for your family, friends, and others you decide to bequeath your things to. As you or your loved ones transition into the twilight years, proper planning becomes more and more crucial. Along with a trained and capable care team of doctors and caregivers, consider recruiting legal and financial professionals such as estate attorneys and accountants. Because a promise is only as good as the person giving it, do yourself a favor and place your trust in a plan. If you are looking for senior home care, contact a location near you. Our promise to you is reliable, compassionate and affordable care!